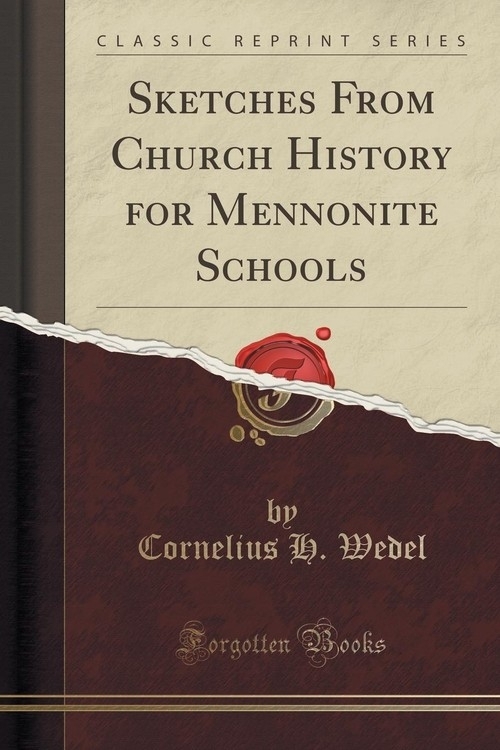 Opis: Sketches From Church History for Mennonite Schools (Classic Reprint) - Wedel Cornelius H.
The purpose of this little volume is to offer not what the pupil should hear in his classes, nor what the teacher should know, but what the former should learn and take with him from school and should use as a nucleus around which to gather further knowledge. Because of the fact that only a short time can be devoted to this study in school, it is self-evident that the amount of matter presented must be very limited. The teacher should let the class read each new paragraph and should explain such words and sentences as are not understood by the pupils. Then the pupils should close their books while the teacher enlarges upon the subject-matter of the text-book. This method will naturally arouse the interest of the pupils. The teacher, however, must guard against presenting too much outside matter. During the following recitation period he must expect the pupils to know what is given in the text-book. If they can give anything definite of what he added, they should be especially commended. It is scarcely necessary to warn against a discussion of the peculiarities distinguishing the various branches of our denomination. For that reason every occasion for such discussion has been avoided in this book. Short devotional meditations and applications are appropriate. They, however, will make deeper impressions if they are presented orally by the teacher instead of being read out of the text-book. We hope that this little volume will prove helpful in our schools. Szczegóły: Sketches From Church History for Mennonite Schools (Classic Reprint) - Wedel Cornelius H.
Recenzje: Sketches From Church History for Mennonite Schools (Classic Reprint) - Wedel Cornelius H.